Hopefully, you all are familiar with spellingcity.com by now. It is a great website that I use quite often in class. One of the questions I get from parents and other educators as I use the site is, "What are the other students doing to stay engaged while the lucky student is working at the Promethean Board?" Here is just one of my strategies to make sure that learning is constant for every student. Using the "Unscramble" game, a student at the board has to take all the mixed up letters given and make them into a spelling word. Students at their seats have dry erase boards so they can play along. 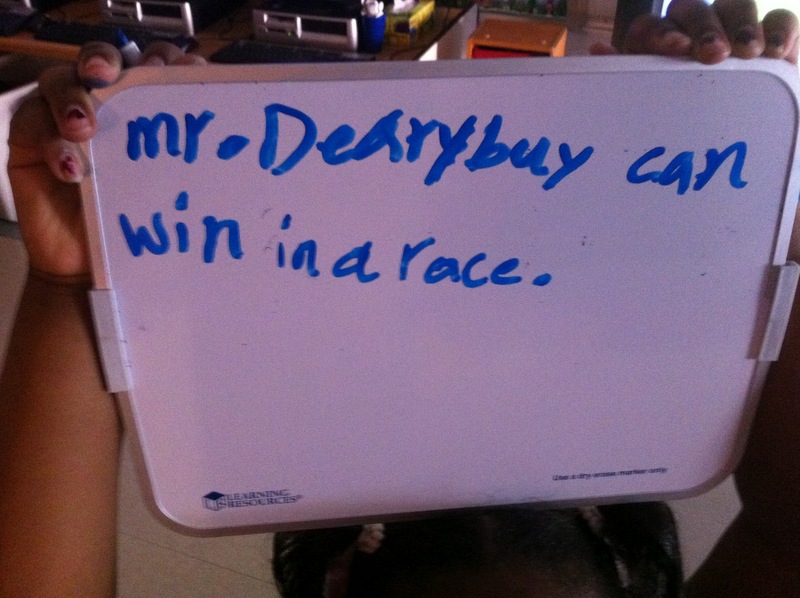 I challenge the students who are seated to race the person at the board. Yesterday, it was down right electrifying as students who were seated raced to spell the word correctly before the student at the board. After they figure out the word, everyone writes a sentence using that word. It is one thing to spell a word, but another to actually use it in context. 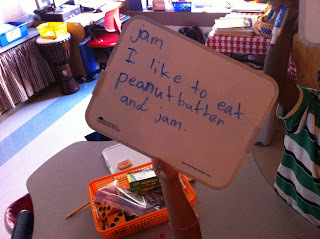 Below are just a few pics of the sentences I captured while we were learning!!! I encourage you to log on at home to practice. All spelling words are used in class throughout the year. To find our list, go to the site, select "Find A List," type my name in the search, select my name when it comes up, and then you will see all of our lists. Happy Learning! I wish you, Mr. Dearybury could have been my teacher when I was in 2nd grade, but since I am Kyle's Grandmother "Oma" I don't think it would have been possible. I'm sure glad he has you as his first school teacher, and I appreciate how your students are learning in such different and fun ways! 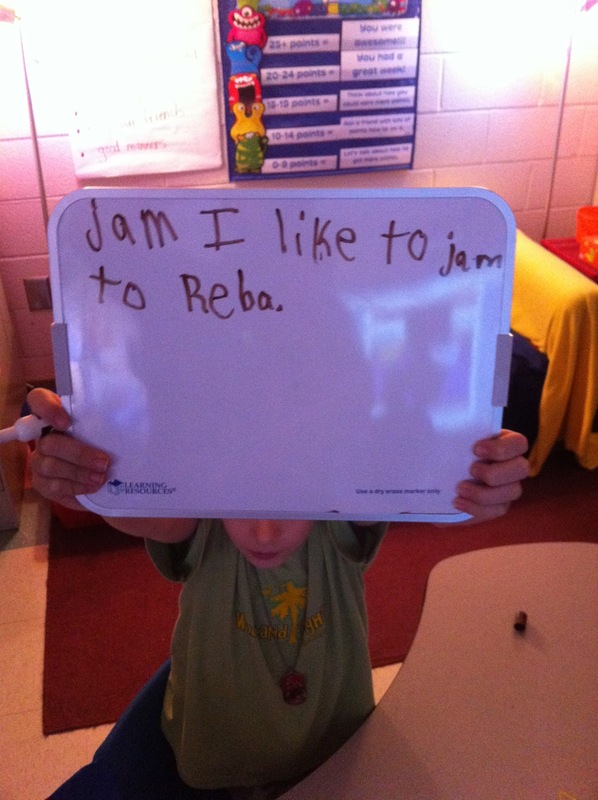 Your teacher blog with pictures is fantastic too! It gives us a bird's eye view of classroom activites and great pictures of our children.